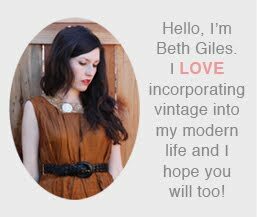 This year has been quite challenging in my attempt to not buy anything new (see this post), on the plus side I have found A LOT of fantastic used things! 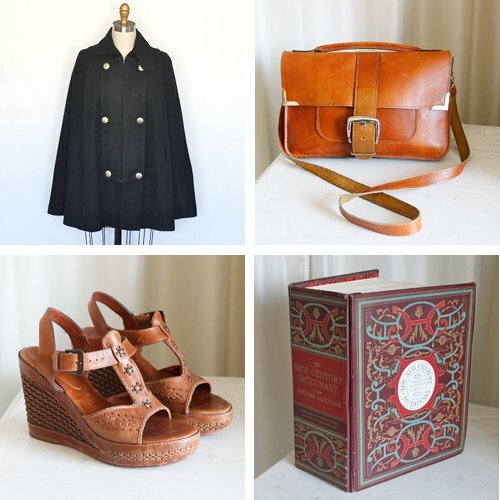 The following items I bought over the last few weeks and I am just thrilled about them. This post is in lieu of an outfit post, because I don't think anyone would be interested in seeing the jeans and sweatshirt I have been wearing all week...it's been crazy around here getting ready for the Unique LA show and decorating for Christmas. That purse makes me swoon. i LOVE that cape - so amazing! Very nice finds! I have just started the 'don't buy anything new for a year' challenge too. I'm in my first week and already struggling with temptation... although I'm sure it gets easier.